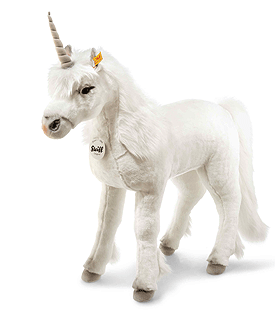 Steiff Studio Fabella Unicorn is from the Steiff Classic collection and made in beautiful white soft plush. 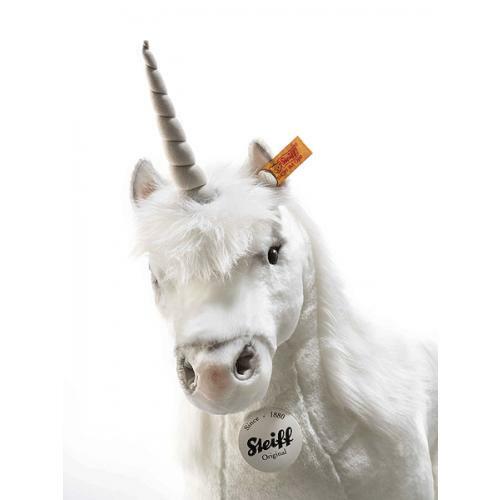 Studio Fabella unicorn is made of wonderfully soft plush fabric and stands 100 cm tall. Just looking at this white beauty will make your heart skip a beat. Her nostrils, horn, inner ears, hooves and soles are made from fine light grey Trevira velvet. A bushy mane and tail add to her stunning appearance. Her face gets its unique look from a delicate airbrush technique. 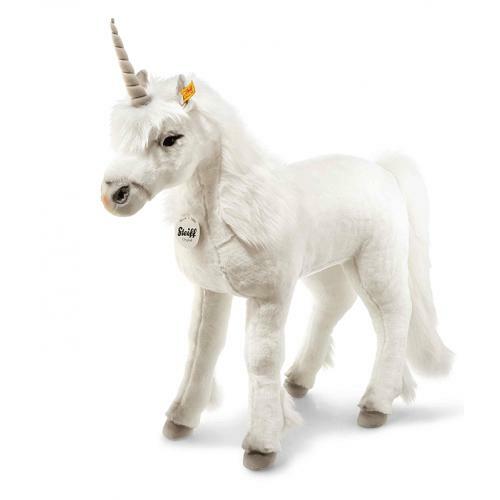 Fabella is a mythical beast intended for decoration only and not for play.